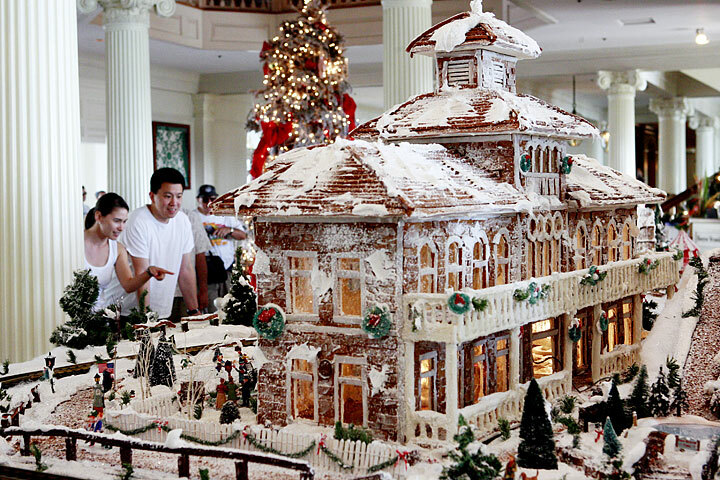 Linda and Daniel Kao, visitors from Los Angeles, admired the German Gingerbread House Wednesday in the lobby of the Sheraton Moana Surfrider in Waikiki. 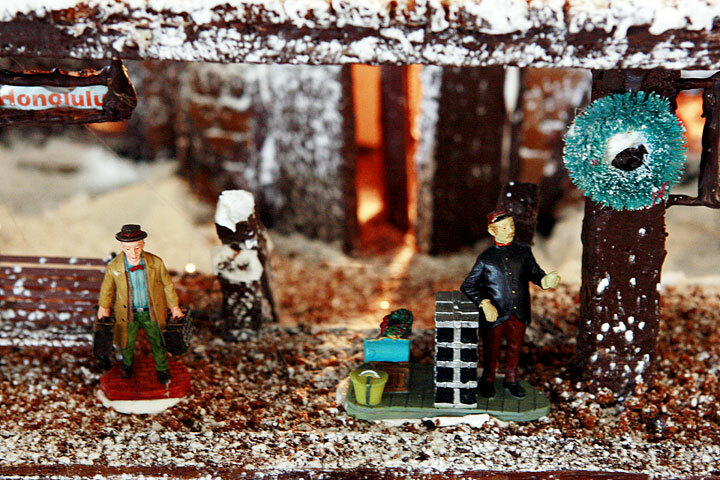 The village took 160 working hours to build, 20 pounds of white chocolate, 28 sheets of gingerbread and 75 gallons of icing. 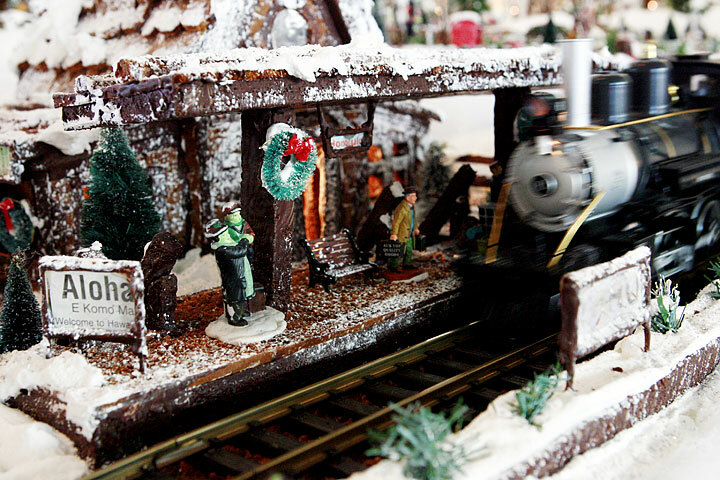 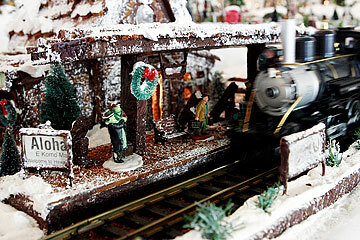 Above and below are different views of the train station at the German Gingerbread House.